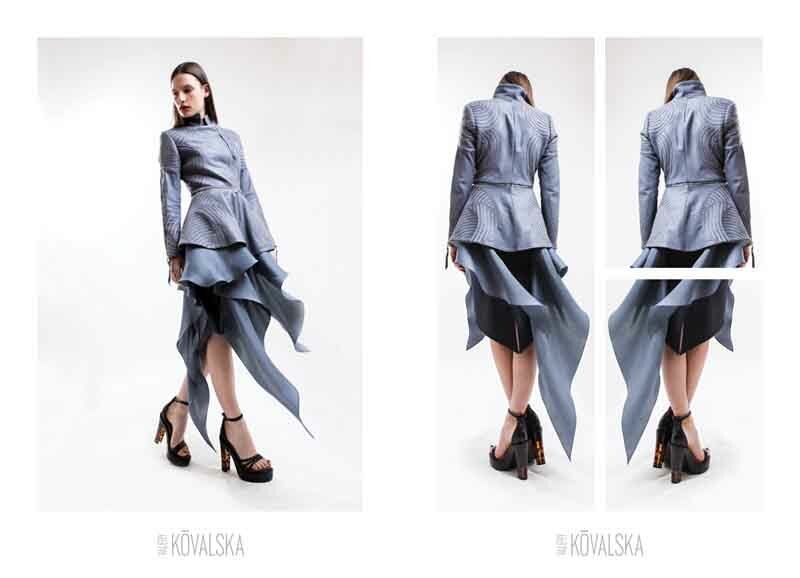 Valery Kovalska began her career as a stylist for Russian and Ukrainian television until March 2010, when she took her native country’s fashion world by storm by debuting her menswear and womenswear line at the Ukrainian Fashion Week. Showcasing a unique design perspective as she focused on original prints and patterns, leather artistry and tailoring, she became an overnight sensation. She was then invited to London and Kiev Fashion Week to present her Spring/Summer 2011 collection entitled “Professional Suicide”. Valery Kovalska broke into the European market with her Spring/Summer 2014 collection at Paris Fashion Week and has continued to build a loyal international following spanning across cultural lines. Valery is planning her official US launch during NY Fashion Week for the Spring/Summer 2015 season. Valery Kovalska retails from $500 – $2500. The collection includes gowns, skirts, shorts, top, pants and jackets.